Sean is a gay third generation Baha’i who has been with his partner for ten years. He kindly agreed to give an interview about his experiences to God Made the Rainbow. This is the second part of a three part interview. Read the first part here. Do you find meaning in Baha’i now? Has your practice changed since coming out? I still consider myself a Baha’i. There is nothing similar to it out there, the very teaching of “Progressive Revelation” where each world religion is like a chapter of a book (Baha’i being the latest, but not last), our prophecies, and our teachings keep me bonded to the Baha’i Faith. When I came out, initially I was not less active in the city in which I resided; in fact I was elected to our Administrative Body a few years in a row as an openly gay person. As the years passed I was less comfortable sharing my faith with others who knew or asked about the Baha’i stance on homosexuality. How could I share in my faith that teaches those who are in a gay relationship will be spiritually handicapped in the next world? When I moved to the city I currently reside after meeting my partner (whom I have been with for nearly ten years), I contacted my local Baha’i community, and as luck would have it I would be elected to their Administrative Body as well. My city happens to have the largest gay population per capita in the U.S., so those who would be attracted to the Baha’i Faith for its largely progressive beliefs would be equally turned off with the Baha’i Faith’s stance on homosexuality. I addressed my frustration with my fellow Baha’is in my community; some were understanding, others less so. Ultimately I became inactive in my religious community, seeing that there was no place for openly gay people. To be a gay Baha’i, one cannot be in a gay relationship, gay Baha’is have to deny themselves the basic human need to share their life with someone while their straight peers can lead full lives. It was a very depressing existence leading a double life to remain an active Baha’i. Although I do miss aspects of Baha’i community life, I found that I have to be true to myself. Is there much of a gay Baha’i community anywhere, similar to the LGBT Christian and Jewish movements? If yes, do you and other LGBT Baha’is find it useful, and if not, do you think one will form? 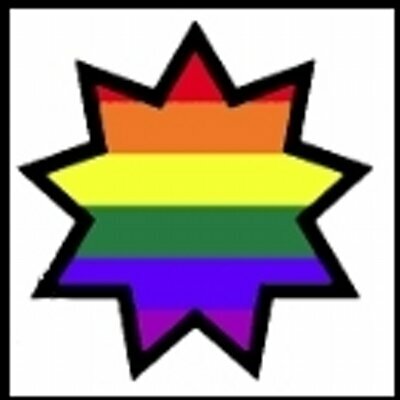 There is no formal gay Baha’i community life anywhere, though gay Baha’is may meet up on an individual basis. The closest thing gay Baha’is have to a support group is called BNASSA (Baha’i Network on Aids, Sexuality, Addictions and Abuse). BNASSA is an officially sanctioned Baha’i Institute of the National Spiritual Assembly of Canada, and is supported by the National Spiritual Assembly of the United States. BNASSA’s name alone entails a large grouping of “issues”, a far cry from any kind of gay Baha’i support group or Gay Baha’i Gathering. Ultimately GLBT Baha’is will seek each other out and will form support groups or Gay Baha’i Gatherings as a way to bond and share their love for Baha’u’llah. Black Men’s Gatherings were groups started by African-American Baha’i Men as a way to heal generations of wounds that were afflicted upon the Black Man, to bring them up spiritually as a group, to share their pain, their strengths, and a way to move forward in their communities and families. It is basically a spiritual renewal for them. I think that the GLBT Baha’is need something similar that is equally encouraged by the Baha’i Administration. Read Part 1 here and Part 3 here.